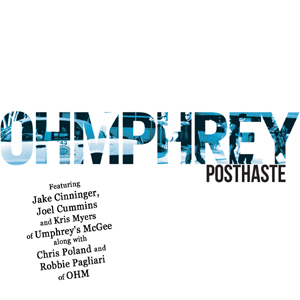 "Featuring Umphrey’s McGee’s Jake Cinninger, Joel Cummins, and Kris Myers alongside guitarist Chris Poland (Megadeth) and bassist Robertino “Pag” Pagliari, the album evokes reminiscence of heavier, funk laden fusion material ala Jeff Beck and Attention Deficit. The wealth of talent among OHMphrey’s members is undeniable. Jam fans will surely enjoy the instrumental acrobatics on display, especially within the last two tracks which were recorded live in 2009 and collectively contain thirty-plus minutes of improvisational exploration. Cinninger’s stellar guitar work reflects his jazz and progressive metal influences and is worth the listen alone." Dave Martone / Glen Drover - "Live At Metalworks"